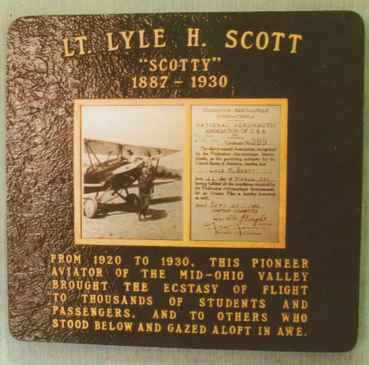 IN REMEMBRANCE -- This marker for Lt. Lyle H. Scott was placed at the Wood County Airport Friday, and is a reminder of the pioneer aviator's legacy to the area. Marietta Daredevil, Barnstormer Lived Life Without Fear. "Off they go into the wild blue yonder" had to have been written for Lyle Harvey Scott, Marietta daredevil, stunt pilot, and teacher. There was no fear in him no matter where time took him, whether it was on the ground or barnstorming in his Curtiss "Jennie" biplane. As the saying goes, "They broke the mold." Scott was not nicknamed "Scotty," according to his daughter Jane Scott Karnstadt, but was called "Skipper." "That was due to the fact that he was always head of the crew and skipper of the boat," she said. Mrs. Karnstadt, was in Marietta this past week, from her home in Elgin, Texas, for the dedication of a plaque at Wood County Airport in her father's honor. Her return to Marietta brought back a lot of memories. Funeral Monday In Uhrichsville Lieut. Lyle H. Scott, 44, Marietta, former well known Uhrichsville resident and Everett Arnholtz, Coshocton, also a former Uhrichsville young man, were instantly killed at 8 p.m. yesterday when Scott's airplane, which he was piloting, crashed into the side of a mountain near Fairmont, W. Va. The plane was completely demolished. Scott and Arnholtz were setting off an aerial fireworks display in connection with a Decoration day program at Fairmont when the accident occurred. Scott's plane hit the mountainside when he was maneuvering in an effort to get away from an aerial bomb. Lieut. 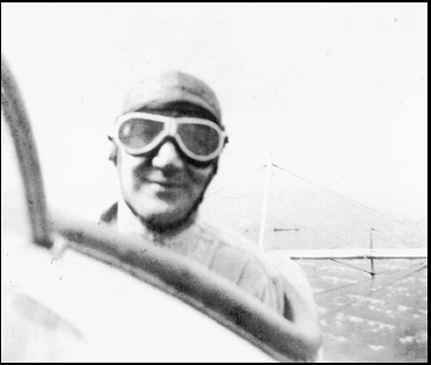 Scott, who has given flying exhibitions in New Philadelphia many times, was perhaps Tuscarawas county's pioneer aviator. 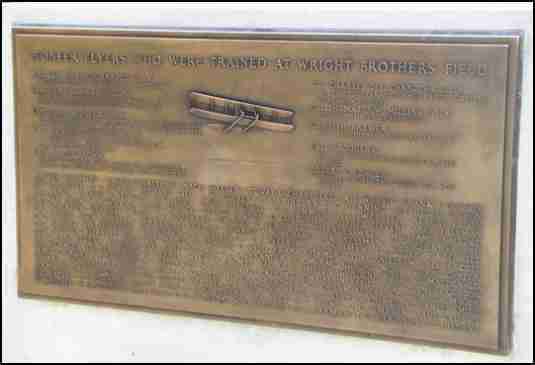 He entered the army flying school at Kelley Field, San Antonio, during the war and was commissioned a second lieutenant. He completed his flying course at Riverside, Cal. 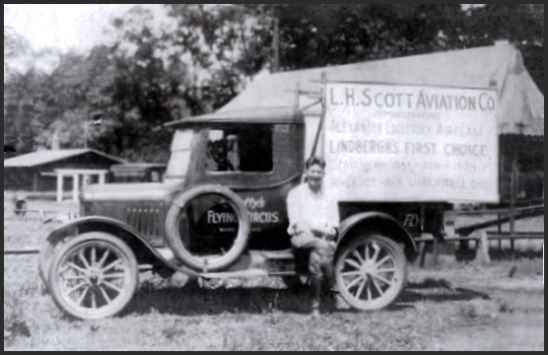 Carried Fleet of Planes For many years, Scott had his headquarters at Uhrichsville, where his parents, Mr. and Mrs. Thomas M. Scott reside in East Fourth street. Six years ago he removed to Marietta where he had since engaged in commercial aviation, owning and operating a fleet of planes. Lieut. 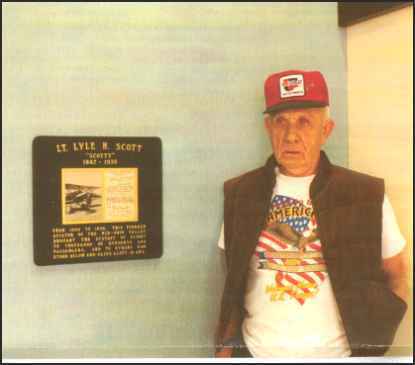 Scott was actually born in Deersville in Harrison County, Ohio, but was raised in Uhrichsville. He was a member of the Elks lodge at Marietta. Surviving are his widow, Ernstine, two children, Lyle T., 10, and Margaret Jane, 7, and his parents. The latter went to Fairmont this morning. 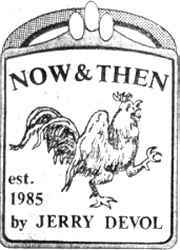 The body will be brought to the Scott home at 474 East Fourth street Uhrichsville, tomorrow by R. K. Lindsay, Dennison mortician. Funeral services will be held at the Uhrichsville Christian church at 2 p.m. Monday, with Rev. Lee, Uhrichsville and Rev. Sebastian, Barnesville, officiating. Burial will be made in Union cemetery, Uhrichsville. Fairmont, W. Va., May 31. 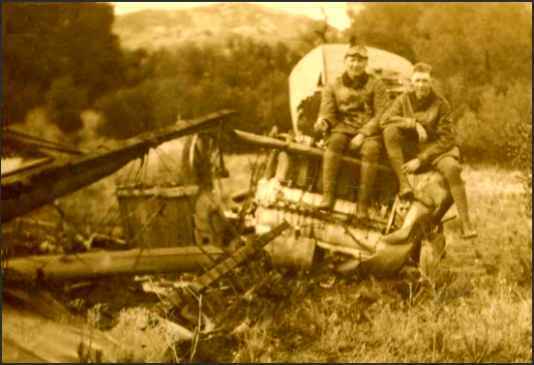 --Everett Arnholt, 30, Coshocton, Ohio, aviator, was instantly killed, and Lieut L. H. Scott, 44, of Marietta, head of the Scott flying circus, was fatally hurt when their plane crashed into the side of a hill last night. They were stunting at a Memorial Day celebration at Arnettsville near this city and the accident happened in full view of a large crowd. The wife and two small children of Lieut. Scott were in the crowd and saw the plane crash. Scott died in Cook hospital here three hours later.